Stories of the Korean History, which cannot be forgotten! What so different between Busan and Seoul? A lot. Check it out. I enjoyed this trip because I got to see the ocean and the mountains. I give this tour thumbs-up, seeing some of the best views in Korea. What a work-out! I can definitely defend myself in any situation. Trace the inside story of the Joseon Dynasty back to 15C and enjoy their life as it was and river cruising. Amazing views of the Seoul city as you’ve never seen it before as you look upon iconic sights from about 300 meters up. A true performance that was culturally rewarding. So this tour can experience how dramas are made, I feel like a drama star. We are providing an all-day ‘EVERLAND’ ticket for a ground breaking price! Only offered to foreigners! Thank you for your interest to Cosmojin, the travel agency for foreign tourists. Cosmojin travel agency is developing newest tour packages follows customers’ needs and world trend as a company which is managing Seoul daily city tour for foreign tourists for more than 15 years. Every package is organized with popular sights easy to find by theme and time, and also programs for touring suburb are prepared for who wants to get out of complex Seoul and enjoy relaxed time. Driving out of Seoul in an hour will impress you with unique mood of Korea. We selected only good spots in one hour distance for a day tour. We are proud of our professional guide services are distinguished from any other travel agencies in satisfaction level. We understand that any meaningful sights could be nothing without professional guide. Also we provide the latest vehicles and clean transportations for satisfying every customer in Seoul city tour. Today, you will earn the interesting, fabulous episodes and not-often-to-hear information about Seoul and Korea. The best guide, the best customer, and the best sights. I hope you enjoy. Do you want to feel the Korean Wave, tour the sets of movies or TV shows which are the hottest issues within Korean culture? Then grab a chance to experience the Korean wave tour series with Cosmojin. The expression, "Korean wave" was used first in Japan, Taiwan, and China when Korean pop culture became popular. Now the wave has spread to Southeast Asia. Not only the pop culture of Korea but the tremendous popularity of Korean product such as electronics or foods are also part of the Korean wave. 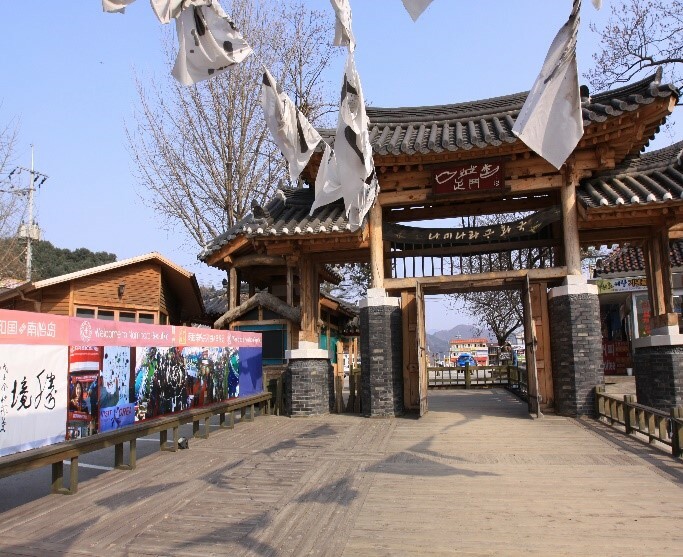 Visit the major filming site of famous TV dramas like or and feel the live field of the Korean wave. There's also the Korean wave experience center, photo zones, and Korean star shop to purchase souvenirs of Korean pop stars and actors. Namiseom island where was shot and Petit France where was shot are the best locations for filming well-made TV series. 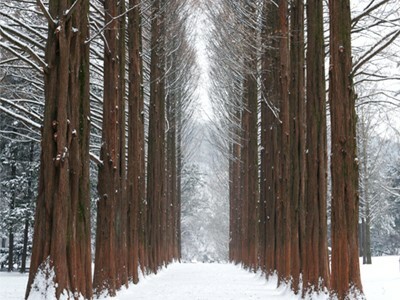 Namiseom is famous for its beauty of nature with the metasequoia road and also with its beaufiful snowy landscape in the winter. It is the perfect place for lovers and family to stroll down. Petit France is a scene itself, as it is a small town that actual looks like a French village. You can take beautiful photos anywhere in the village and it is also a good place for a romantic date. You will have an opportunity to become the main character of Hanryu TV shows! Let us take a trip to ‘Namiseom Island and Petite France’, which is a healing spot within 2 hours of Seoul. + The ‘Korean Visitors Committee’ provided coupons for around 28,000 tour locations, and ‘Petite France’ took first place in the downloading of coupons. + In the countryside of Korea, you will sight-see in European antiquity, such an unconventional opportunity! Nami Island in Korea is not just a tour spot! It's called ‘Naminara Republic,’ like an independent nation. When you enter Nami Island on a boat, you need to buy a border pass at the ‘immigration office.’ Also if you want information on the tour, you need to visit the ‘Naminara Republic Tour Agency.’Nami Island is a pretty renowned tour spot with as many as 3 million people visiting yearly because of this distinctive theme. Furthermore, about 1 million of the 3 million visitors are foreign tourists, so this is a representative Hanryu tour spot in Korea. 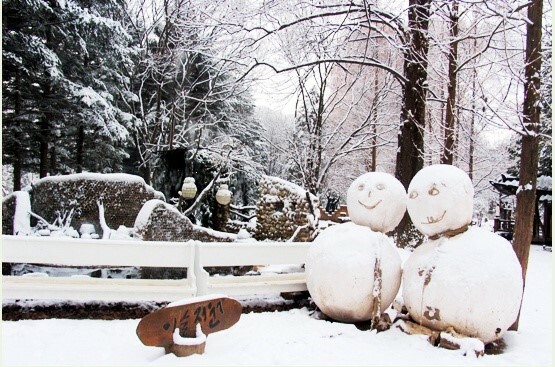 Nami Island demonstrates a variety of charm 365 days a year. Cherry blossom, azalea, and lily are all over the place during spring. 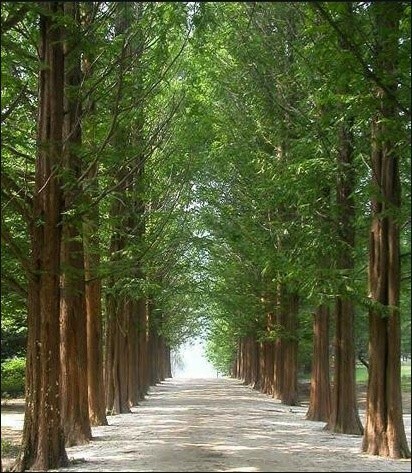 And during the summer, with 50 meter tall metasequoia trees, it provides a great shady place. Red and yellowish color maple trees fill the corners of Nami Island during the fall season, and the path created by gingko trees is very romantic. Also during the winter season, the island is famous for great snow scenery. At the metasequioa trees road on Nami Island, huge metasequioa trees, more than 50 feet tall, line up in a straight row. It creates a great view. 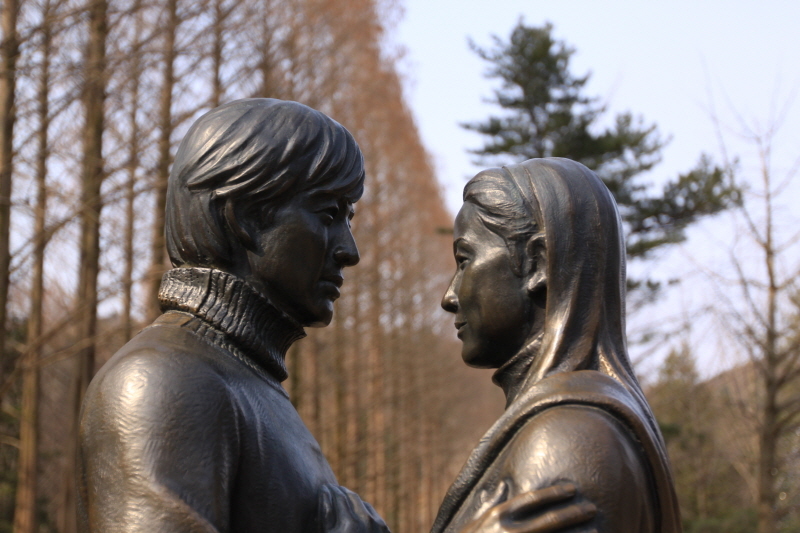 This is a Nami Island landmark, and a must-film spot for tourists. It became very famous because this location has appeared on the Hanryu TV show, ‘Winter Sonata,’ and now is often appearing in many TV shows and movies. 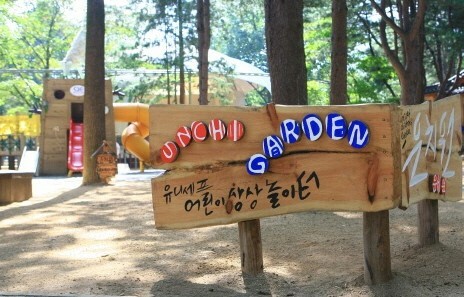 There is a bench where ‘Jung-sang’ and ‘Eu-jin’ shared their first kiss in the show. They made a snowman as if the main character made one on the show which is located on a table near this bench. This is a popular photo spot for Hanryu tourists. 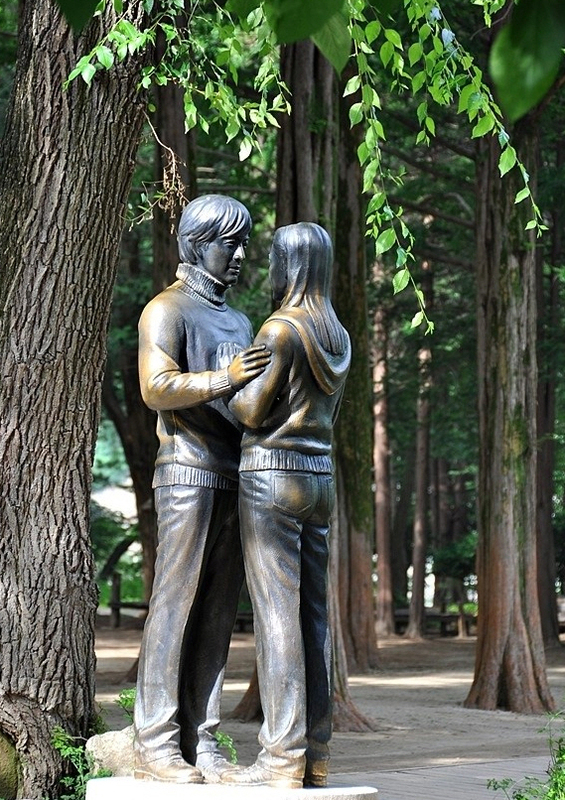 There are life sized bronze statues of ‘Jun-Sang’ and ‘Eu-jin’ from the ‘Winter Sonata’ located there. When they first revealed the statue, NHK, the Japanese media broadcast this unveiling ceremony live. It's that famous. You feel like you are taking pictures with the main characters, and this place is very popular, especially with the Japanese tourists, because the show was well loved in Japan. 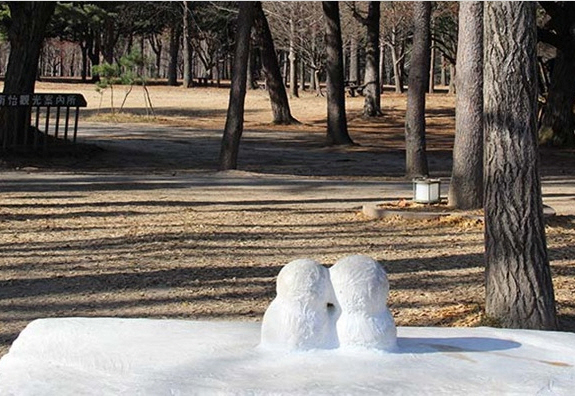 Yeon Ga Ji Ga is where the first press conference of Winter Sonata, the Hanryu TV show took place. 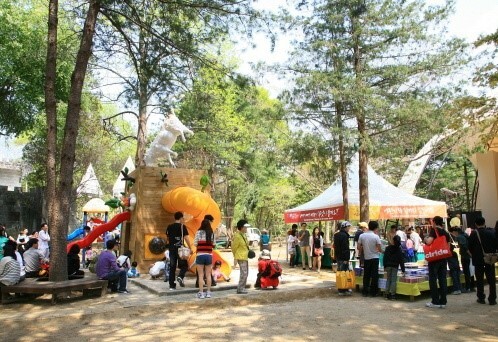 Also it is where actors and staff took rest during the filming. Now it has become a café, they sell ‘Gimchi lunch box of memory,’ ‘Gimchi pan cake,’ ‘Makgeoli (traditional rice wine),’ and ‘Patbingso (Red Bean Ice Chubut.’). 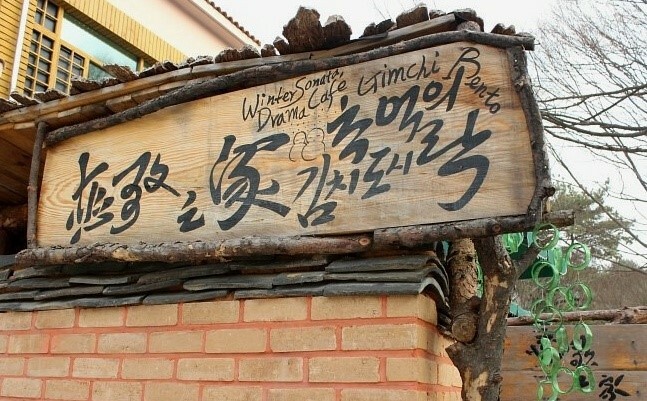 Inside of the café, there are pictures and autographs of actors for Winter Sonata. There are many attractions for Hanryu tourists. 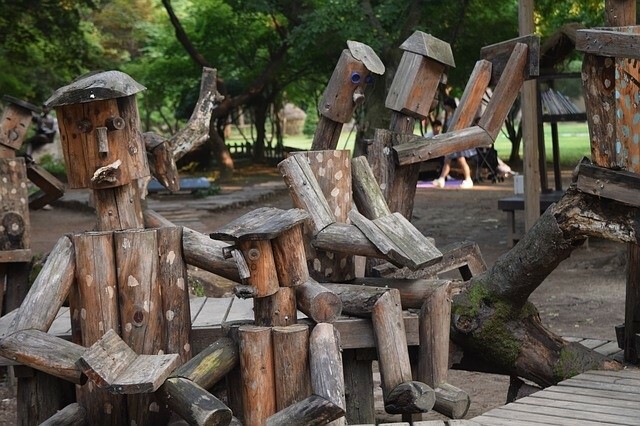 Woon Chi Won at Nami Island is a child-friendly park, which is the 14th most popular place in the world, and it is the first approved location in Korea. 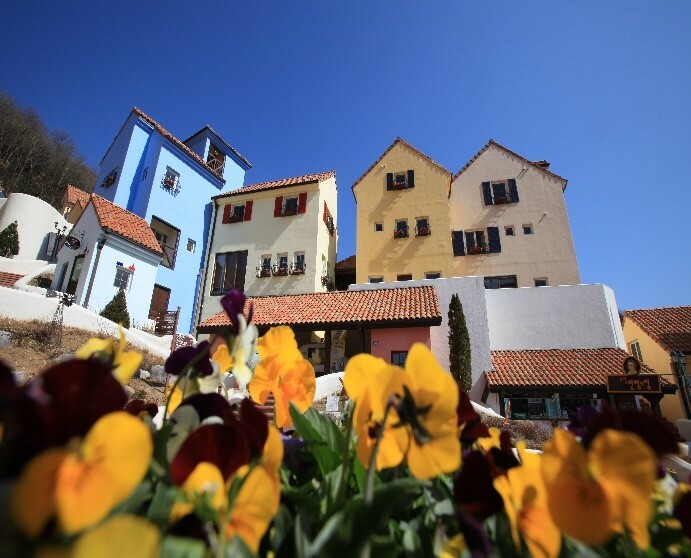 Petite France is a small French village within Korea, where you will feel like you're in a fairy tale as pretty pastel toned buildings huddle together. One of the representative novelists, Saint-Exupéry, and his major work, Le Petit Prince, is the main concept for this place, where they reproduced this French town. 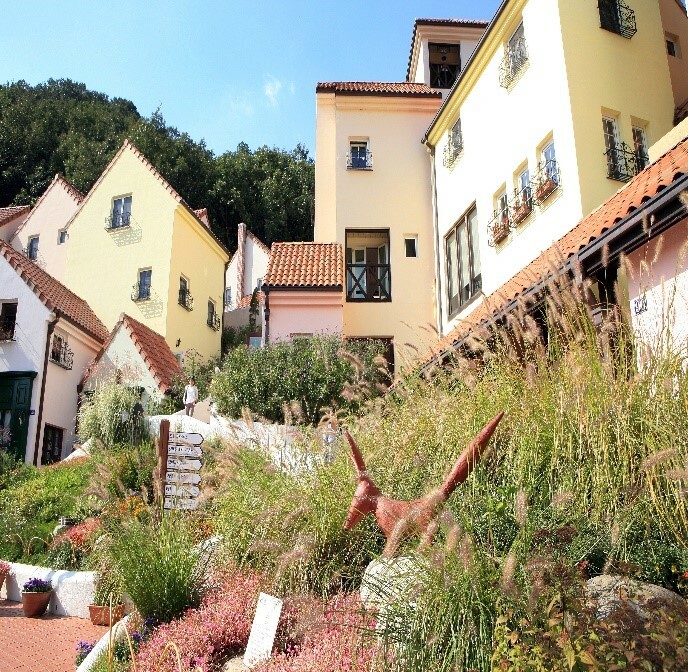 This place is also used as a set for many Korean TV shows like, ‘You Who Came from the Stars,’ and a variety of shows like ‘Running man.’ Thus, Petite France became a necessary place for foreign visitors to visit who love the Korean Wave (Han Rye). Wherever you go and take pictures, it will all come out very nicely, as Petite France’is a beautiful tour spot. Even though you came to visit Korea, you will feel as if you are in France, Europe in the distance. Let's take a tour of Petite France and kill two birds with one stone. 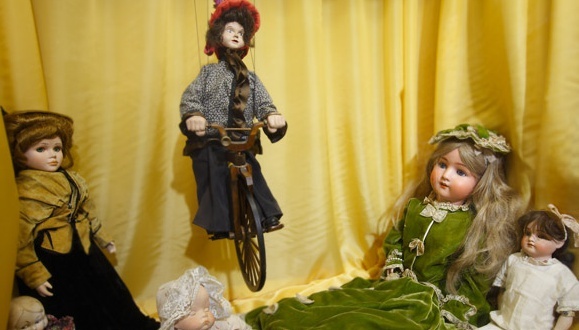 Bisque dolls, which were produce in the early 19th century in Germany, stuffed dolls of France, marionettes of Czech, and some 300 other variations of authentic Europe dolls are displayed. It would be a great opportunity for you to see these dolls, which have over a 100 years of history which you can see right in front of your eyes. 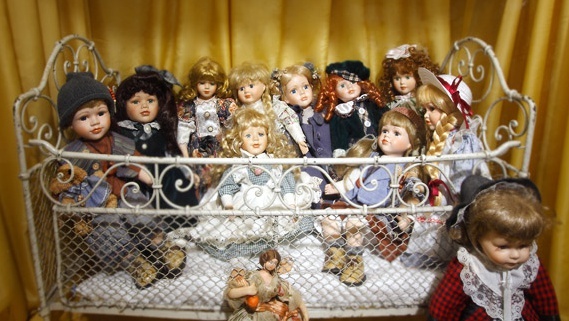 Let's recall our heart as a child and browse various pretty dolls. The marionette performance is shown every day at the doll house, and dancing to the Gangnam Style song has became very popular. 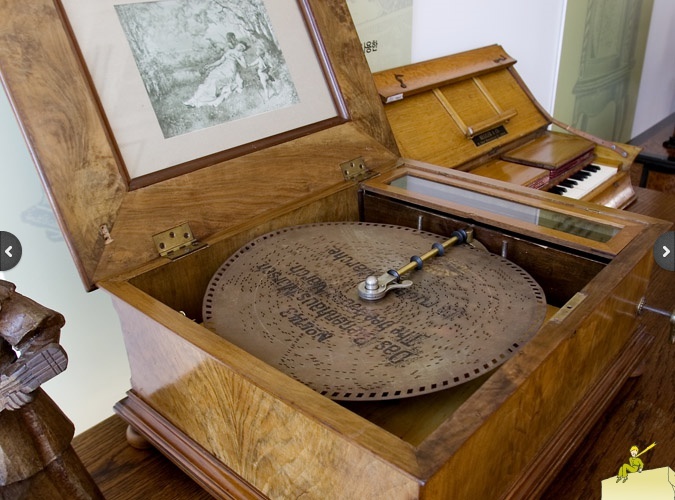 Antique music boxes, more than 100 years old, which were made in Europe in the 19th century, have crossed over the ocean and are gathered in the Republic of Korea. If you stop by the music box house of Petite France, you can enjoy the songs played by music boxes at least 5 times a day. Class and the profound melody of clockworks stop tourists in their tracks. 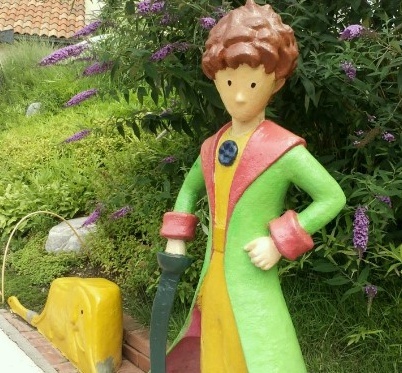 This is a memorial place for the author who wrote about the most famous prince, ‘the Little Prince’, Antoine de Saint-Exupéry. 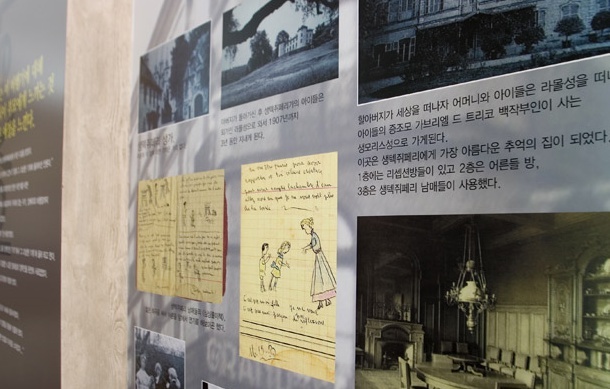 Handwritten notes about the Little Prince of Antoine de Saint-Exupéry, and writing behind the story are displayed, and this location has become a must-visit place for many tourists. Let's have an unconventional experience, where you can see the handwritten notes of the representative novelist from France, Antoine de Saint-Exupéry. 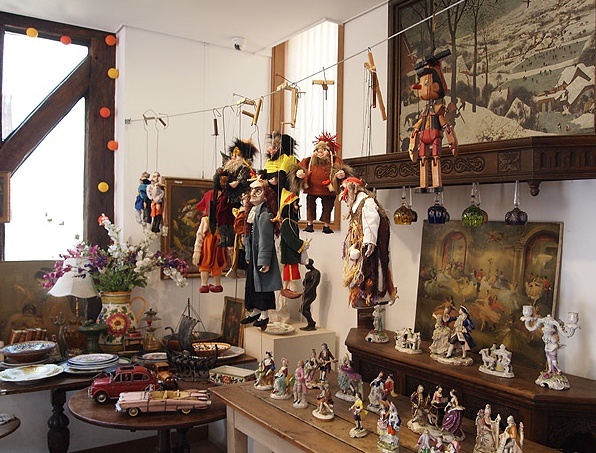 The Antique Museum in the Petite France was created looking like the ‘SangTooAng Flea Market.’ This market is known as one of the top 3 markets in France. 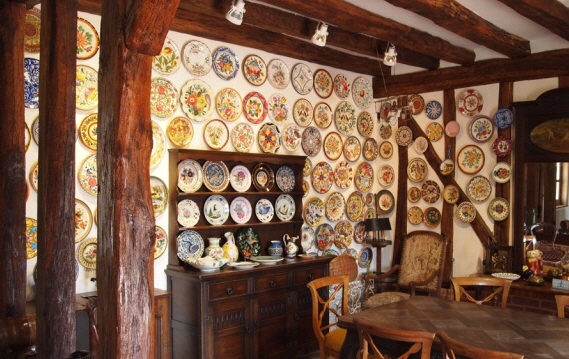 At this place, glamorous ceramics, tiles, traditional dolls, and other various antiques are displayed. 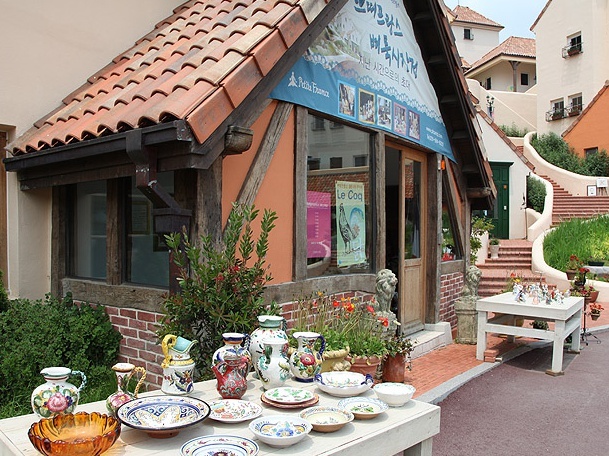 This will be such a great opportunity for you to browse European antiques in Korea. There are products to purchae, which tempt the tastes of tourists. French Traditional Housing Center is where you can see 200 year old French pastoral houses. These houses were built by French architects and items such as wood, poll, floors, windows, and furniture estimated at over 150 years old were imported so they could reproduce the old house look. You can feel as though you're traveling in France during your visit in Korea. It's a renowned place for East Asian tourists as a commemorative filming site. When you go up the 3rd floor observatory, the scenery is spread wide open, and you can see all of Chungpyeong Lake at once. 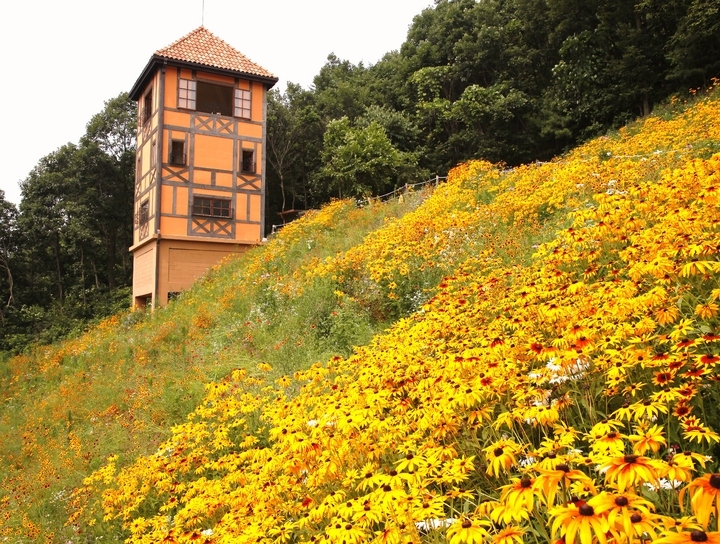 This is a healing spot where you can fill your heart while you look down into the fairy-tale-like town. We are a specialized tour company for foreigners that manage over 70,000 foreign tourists yearly! This tour agency receives tour requests from foreigners, mostly through recommendations from friends, family members, and acquaintances! The most efficient and effective Tourist Agency, Cosmojin, begins your tour right from your hotel in Seoul, with an English-speaking guide. 1. Pick-up and drop-off service may be delayed due to traffic. 2. Cancel after 18:00 one day before the tour date: cancellation fee of 100% of the tour cost. 1. In case some sites of the tours are closed, a visit to alternative places will apply. 2. For your safety, stay with the group and follow the directions of the guide during a group tour. 3. Cosmojin cannot take responsibility for any injuries or losses incurred while on tour. You have to go by ship about 10 minutes to the half moon-shaped Namiseom island where is floated on the Bukhangang. It is called Namiseom since General Nami was dead as a traitor during Joseon Dynasty and also well-known as the location of . Beautiful paths through a forest fill the island. 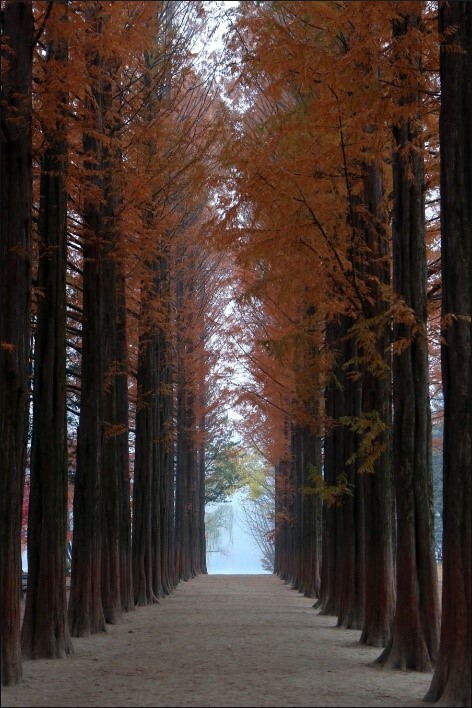 Nut pines on both sides of the road start the tour and the exotic Metasequoia road is continued, the road of ginkgo trees in the central square changes into golden carpet during autumn season. A long path with white birches and walkway in a reed field on riverside will present you beautiful memories with love. Spending times in the Namiseom island will please you in every minutes with gallery and museum that are full of artworks, and workshops where visitors can experience firsthand. Also various kinds of bicycle can be borrowed for looking around the island. Riding eco-friendly electric bike or taking UNICEF train will be the unique experience. 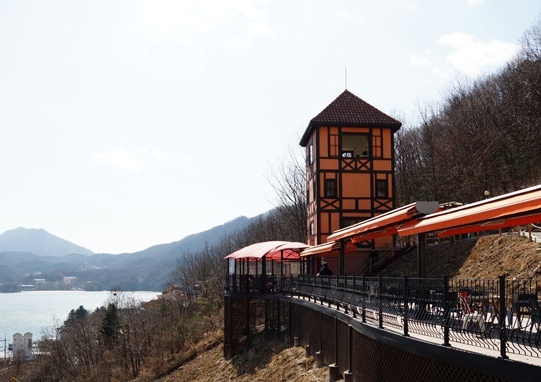 Dak-galbi is a favourite of Chuncheon - there are whole neighborhoods of dak-galbi restaurants there. This dish is presented in a shallow but very wide pan. It is placed on a burner at the table for continued cooking. Ingredients are chicken chunks and cabbage and onions and peppers in chili sauce. When a substantial amount has been eaten' then rice or noodles are added' and mixed with the remaining sauce. 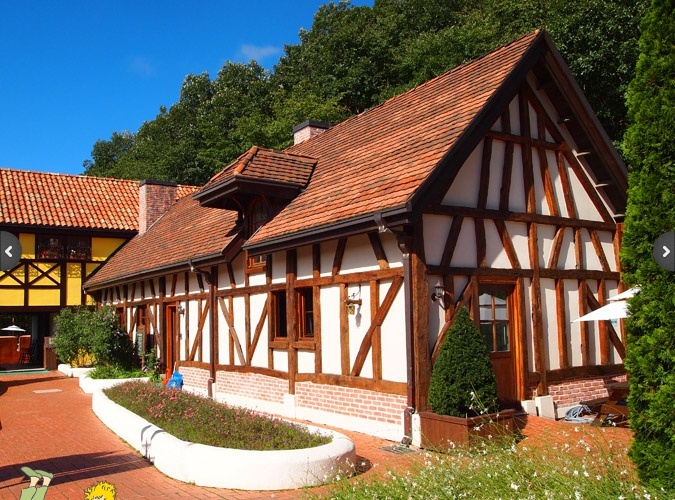 Petit France where is well-known as the location of acted by Suhyun Kim and Jihyun Jeon make you think you are the one in fairy tales as the village looks just like in France. 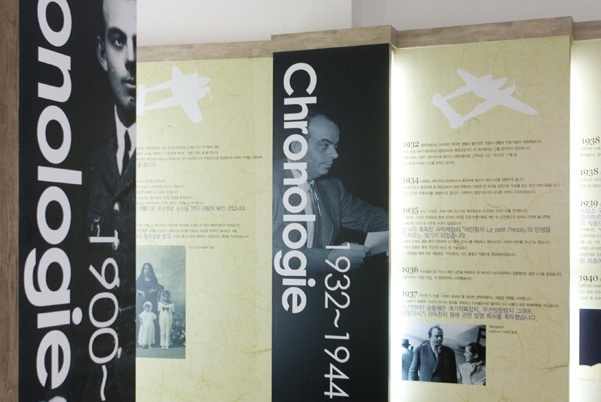 The best feature of this village is the Saint-Exupery exhibition room where displays collections donated by his bereaved family. This is little B612 to appreciate various works and characters of Saint-Exupery. Traditional French house exhibition room and or music boxes which are collected from all around the Europe are also another charm of the Petit France. The colour of Amethyst is as unique as it is seductive, though in fact this gemstone of all gemstones is said to protect its wearer against seduction. Korean Amethyst is extravagance in violet since it has been formed from granite stone base since 5000 years. Moses described it as a symbol of the Spirit of God in the official robes of the High Priest of the Jews, and the Russian Empress Catherine the Great sent thousands of miners into the Urals to look for it. It was said to protect crops against tempests and locusts, bring good fortune in war and in the hunt, drive out evil spirits and inspire the intellect. Ginseng is renowned for its effectiveness as a great healer for living ever so young. Especially if you eat ginseng when you lose your energy, it really helps to regain energy. Korea is acknowledged by the world because of the quality of ginseng as if it is the birthplace of ginseng. You can experience various kinds of ginseng products like gingersnap, extract, ginseng preserved in honey, and other great quality of products made in Korea. Romantic Tour Spot for everyone around the world, ‘Nami Island’ + A romantic tourism spot that gives off a refreshing romance within Korea, ‘Petit France’ Fantastic tour !!! I promise you, it will be money well spent! Beautiful Korea ! Fell in Korea. its fantastic tour i love nami island ! Nami island is a beautiful island where you can enjoy Korea's unique nature environment. Also this island is well-known for K-dramas and films because it was the main island for K-drama, winter sonata. That's why this Nami island tour is one of the great tours in cosmojin for family members and couples because this island is all about love and peace. My clients were big fans of K-drama so they enjoyed Nami island so much. After nami island, we visited petit-france. The little Europe in Korea. We saw the puppet show and we had big fun to visit petit france because of 'your love from the star'. Seoul is very nice. There are a lot of places to go. Koreans are very kind and helpful to tourists. I enjoyed my stay and hope to come bback again soon!!! Korea BBQ is very nice! Public transportation is very convenient! 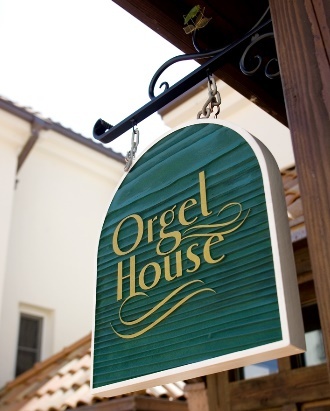 It is easy to get around with all the tourist information center and people to help us around. Clean, neat, convenient public transportation and everything is in a very fast. I would love to come again. Petit France is very interesting place for me. And my kids like nami island tour. So~So~Happy My Family~! KOREA ,Gapyeong-gun,Petite France tour! Here is Filming Locations of Drama "My Love from the Star" Today~ We will eat CHI~MAC! Great day! wonderful tour, Nami Island and ,Petite France. Thanks to my Guide! Petit France was like the one in my dream. I was very impressed. Namiseom was the best place I have ever been. I recall the scenes of my favorite TV series. It was a never-to-be-forgotten day that rode a bike with nature in Namiseom. My family was so attracted to Petit France. Times we spent in there is very precious. It was a great chance to look around all locations from Korean TV series. Cosmojin is the Korea's leading resource for researching, finding and booking the best travel experiences Korea.